This was Florence. She was named after a very close family friend, through my Auntie Ann. Florence is no longer with us, but is always remembered. Florence is Polish so I really wanted to get a Polish breed and name it after her, to remember our good friend. Unfortunately I got another cockerel! So this is Joe, named after Florence's husband. 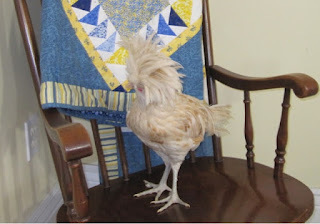 I really really did not want another rooster. 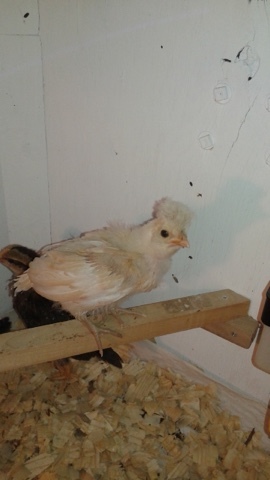 Joe is a Buff Laced Polish, just like Lillian but he has buff or tan instead of black. 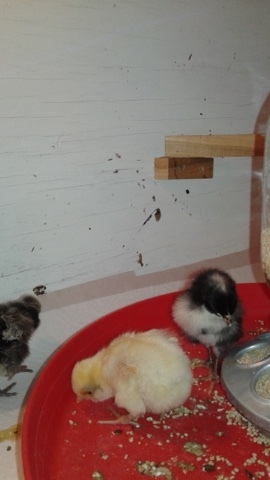 As a chick he was such a cutie, the quintessential little yellow fluff ball. He had the extra fluff on the top of his head like Lillian did. When those crest feathers stated coming in it was so adorable. 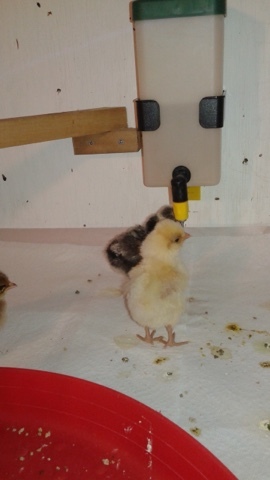 I had my suspensions of course, he was acting a little like Bert did when he was a young chick. 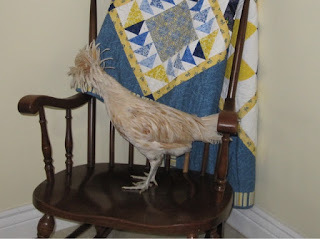 Then one evening Jim and I were working in the garage and I went into the house to get something, as I was closing the garage door I thought to myself that the door really need oiling or something cause it made a strange creaking noise. Well, when I came back into the garage Jim said, "Did you hear your chicken crow?" UGH! thats what that strange noise was! Well, I knew it was probably Florence but I wanted proof, later that night I was actually looking at them in the brooder and Joe let off a big crow for me! Joe is such a sweetie. He lets me pet him and comes up to me when I visit them in the coop. 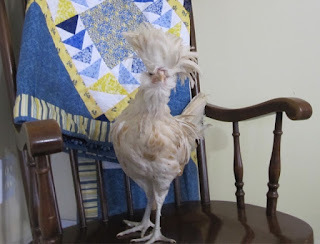 What am I going to do with another rooster? I can hope that Bert and Joe will get along but I just don't know. 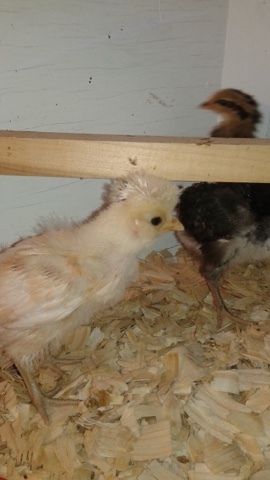 They have met briefly, when Bert was free ranging I had the small coop open too and Bert went into the Corn Crib Carport and walked up to the small coop. Joe stuck his head out and they were staring at each other. I walked up to them because I knew Bert would walk away if I came near him. He didn't try to make contact with Joe again, he just tried to mate with one of the girls! I shooed him away and out of the Corn Crib Carport...they are way to young to be dealing with that stress!